transform your team & your business. & training in Social Media for your business. → What Does Your Business Card Do? → Are You Loosing Your Team? → Can You Motivate Someone? → Show me the Money! → Secrets of Top Business Builders Exposed! → Secrets of Marketing Experts Exposed! There are so many people espousing the benefits of social media for promoting your business, but how do you use it? First walk in their shoes - The web is a place of discovery, web surfers are more interested in finding information that will benefit them in some way. The days of "Look at Me" websites are behind us. To attract more visitors to your site you need to discover what your customers interests are, what information do they search for on the web? What would they like to know more about? Be an information gatherer - There is so much information on the web that finding things that you're really interested in can become overwhelming. As a business you can gather information related to your business area and your customers areas of interest for them. Tell a good story - We all love hearing a great story. You can use this material to create a great story that will inspire your customers - if it's a great story and you use our social media flow chart you will be able to create a viral story that will promote your business to clients and prospective clients. Once your story is ready to go you can promote it via these steps in a quick succession. Put pictures related to your story on or choose pictures from Flickr. Put video about your story on YouTube. Write blog post (or get guest to, but it must be done immediately). Want to know more about using Social Media in your business? Julian is happy to give you some tips. You can call Julian on 0414 736 484. Assessing the effectiveness of your website. SEO (search engine optimisation) what is it and tips on using it in your website. Creating postive first impressions with your website..
Why some websites work and how to ensure your website is one of them. All too hard? At Catalyst for Growth we make it easy for you to have a website that achieves your goals because we build websites that work. 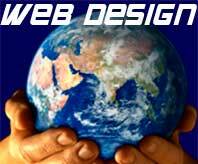 Click here to read more about our website design service. Do you want to be found easily on the web by your exisiting and potential customers and clients? At Catalyst for Growth we specialise in helping you create your own websites and e-commerce sites that are easy for your customers to navigate, search engine optimised (SEO) and focused on fulfilling your customers needs. With our unique understanding of small business your website will be designed so that it looks great it AND works for your business. Are you caught up with daily pressures that you can't seem to find the solutions you so desperately seek. Competition is taking your customers and you are working long, hard and tirelessly for little or no return? Or do you have a challenging team member that just wont cooperate no matter what you do? Or you know what could be done but you just don't have the time to juggle all those things. We can help you to overcome all these challenges.